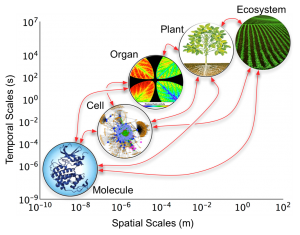 The Crops in silico Proof-of-concept research conducted by the University of Illinois, the National Center for Supercomputing Applications (NCSA), and Pennsylvania State University will accurately simulate plant responses to a changing environment by linking models across different biological scales to provide a holistic view of plant system. The wealth of data from SoyFACE, an open-air experiment at the University of Illinois where soybean is grown in future climate conditions (e.g. elevated carbon dioxide, temperature, and drought), is facilitating model development and validation. 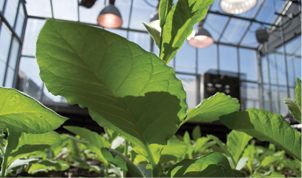 The interactive interface will provide global access for research and education to connect with and promote plant science.